Yay! It finally came. 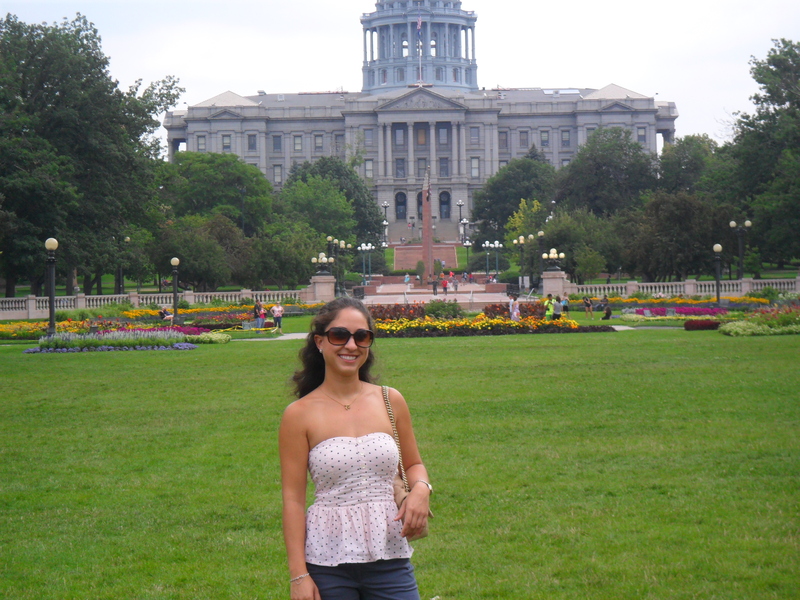 BF and I vacationed in Denver this past weekend and we had tons of fun! 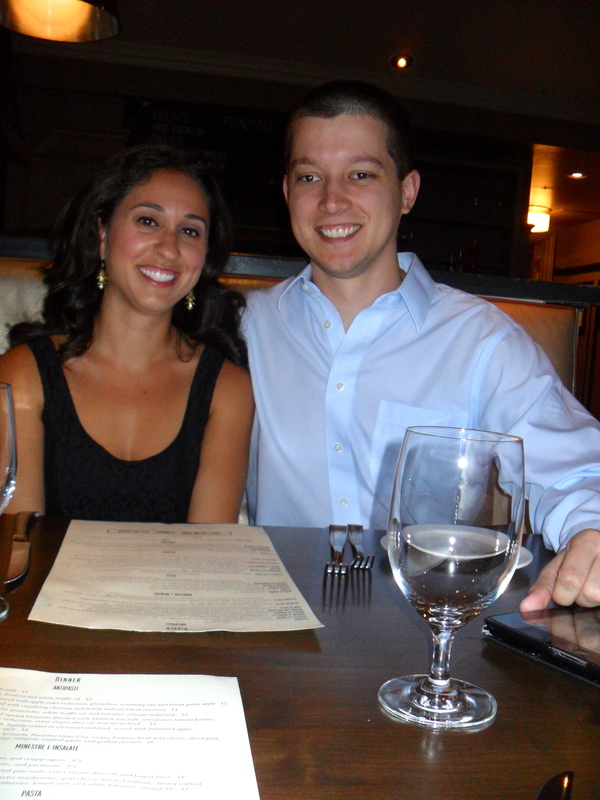 Rewind back to March when we celebrated our 3 year dating anniversary. 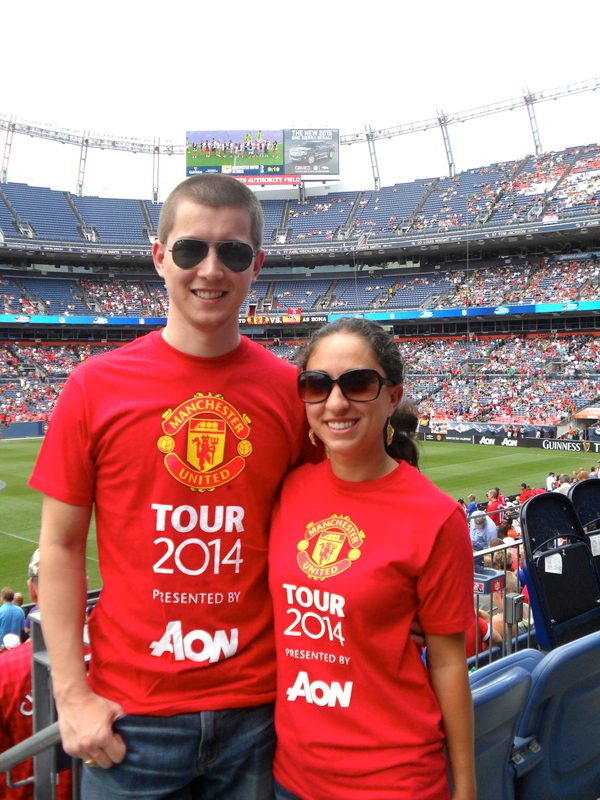 He surprised me with a weekend trip to Denver and two tickets to the Manchester United versus Roma soccer match while we were there. 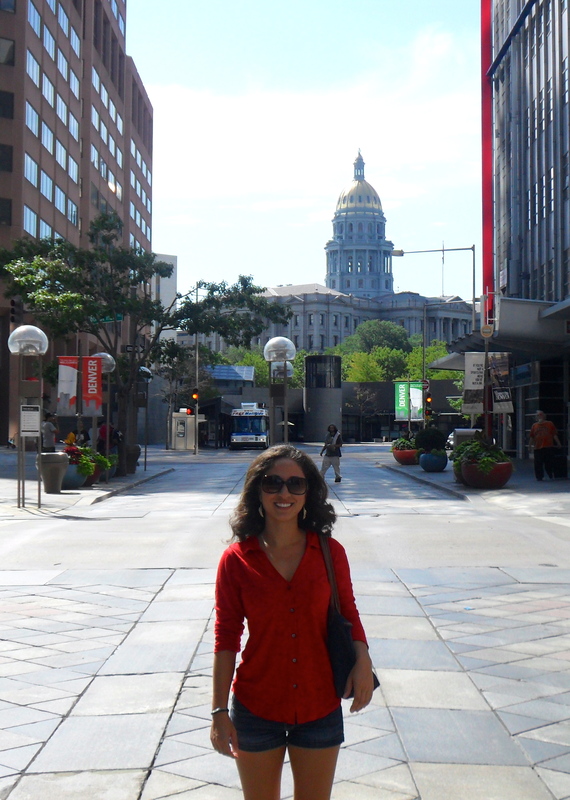 I’ve only flown into the Denver airport so I was very excited to get the chance to explore a new U.S. city that I’ve always heard great things about. The first day we woke up ready to explore before the soccer match at 2 p.m. We grabbed Starbucks, caught our first whiff of ‘pot’ a group of homeless kids were smoking as we walked out with our coffee, and set out to explore. 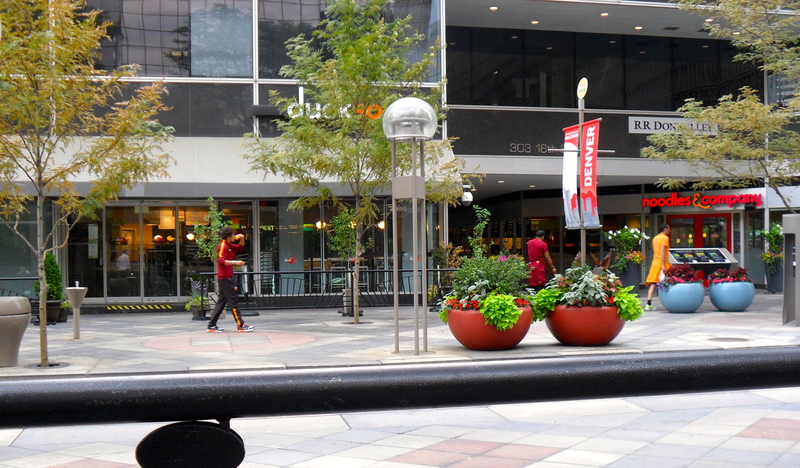 We strolled the entire length of 16th Street Mall, soaking in the perfect morning weather. This clock tower is now a cabaret club. Really cool building. 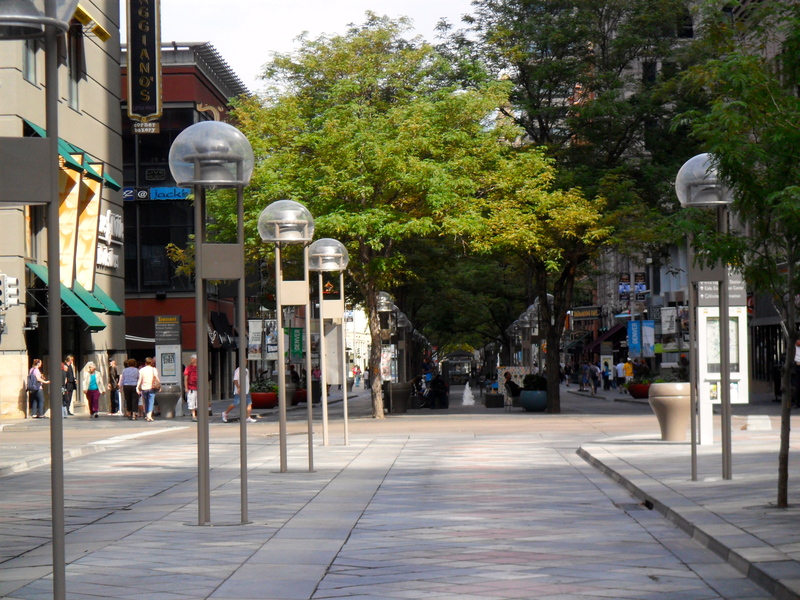 16th Street Mall, an pedestrian-only street lined with restaurants and shops. Colorado State Capital in the distance. After our walk we decided to grab lunch before leaving for the game. 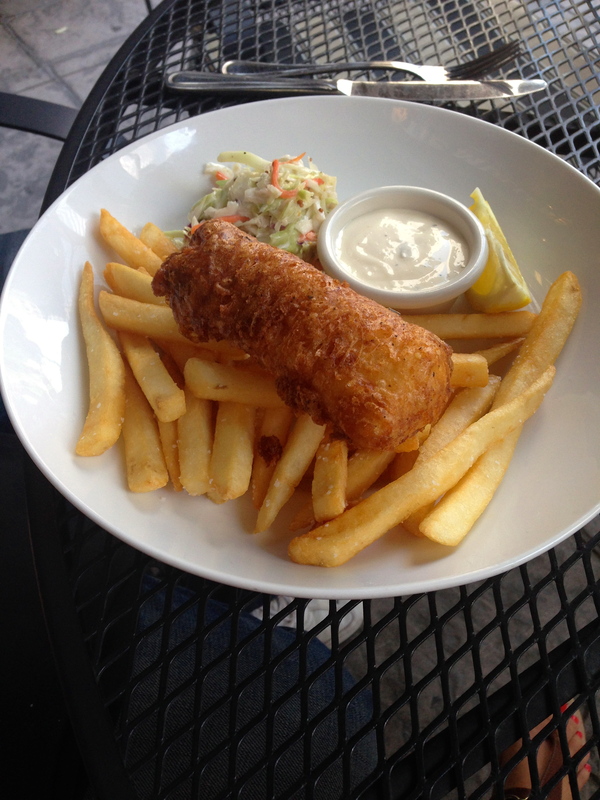 What better way to get pumped up for a “Man U” soccer match than by eating traditional English pub food?! 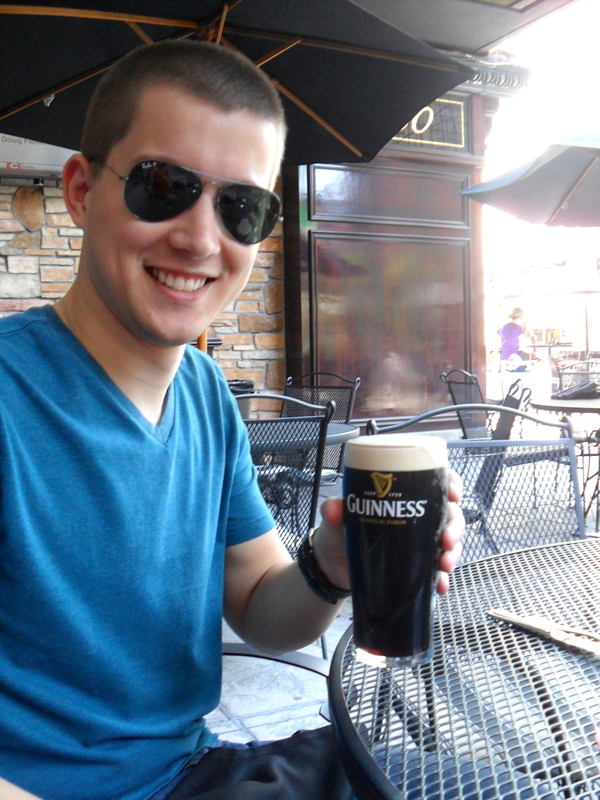 Well, technically it was an Irish pub, but you get the picture. Guinness for him, Heineken for me! Lunch at Katie Mullen’s happened to be one of our favorite meals of the trip just because it was out of our comfort zone of Whataburger and sushi. 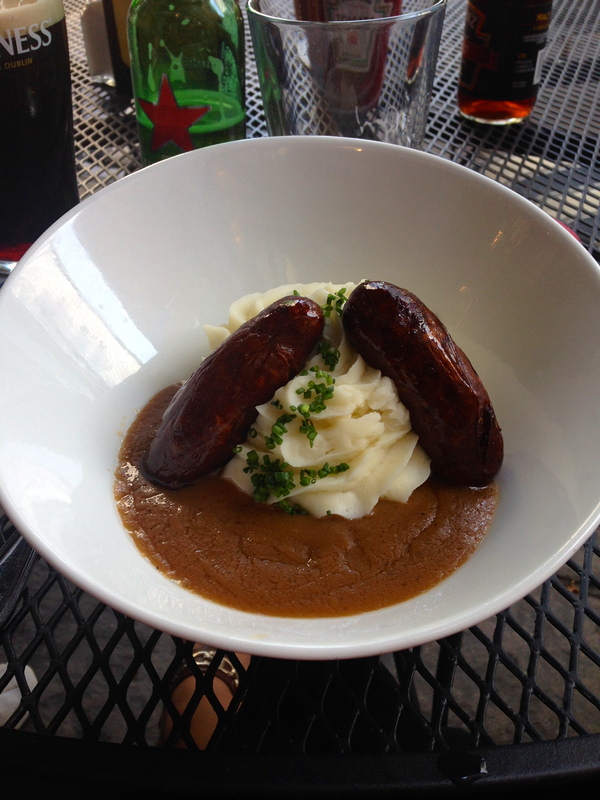 We both sipped on beer while chowing down on Bangers and Mash and Fish and Chips. Have the team colors on! 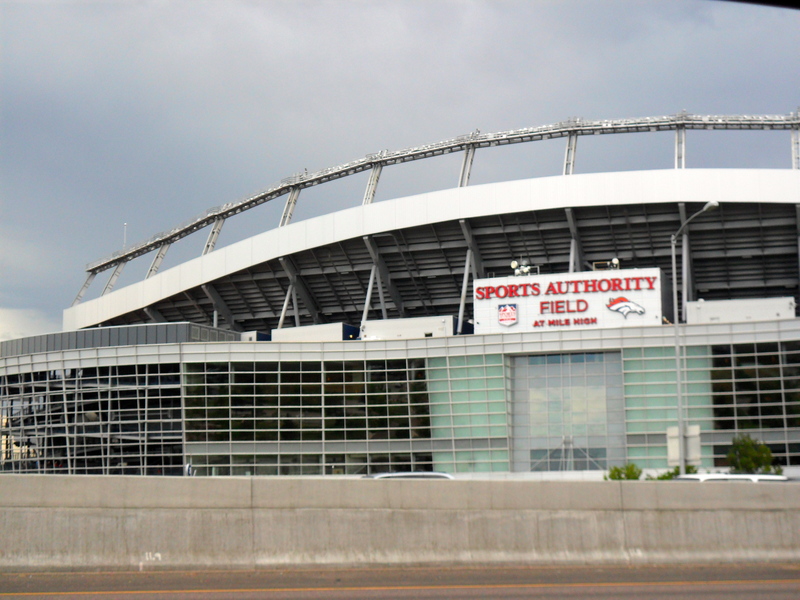 We took a cab to the stadium about 10 minutes away from Downtown. 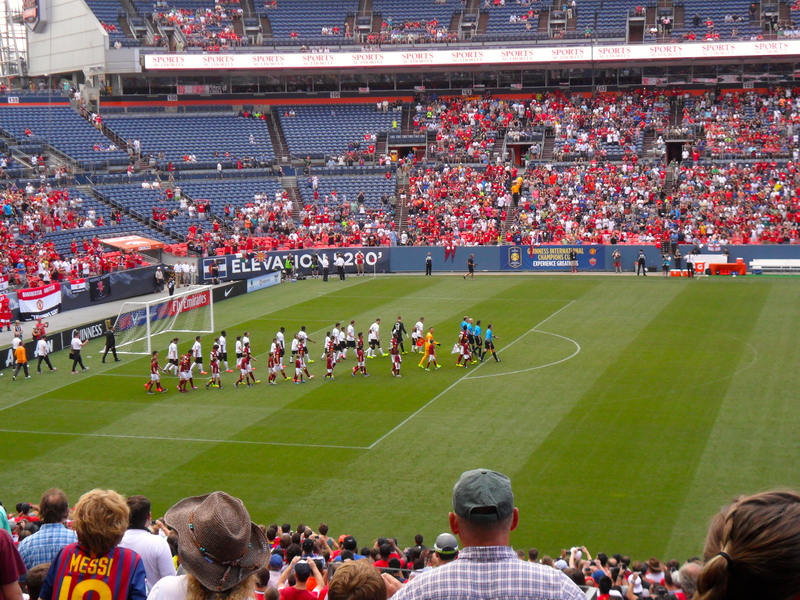 This was the first professional soccer game I’ve ever watched and I must say, it was pretty fun. The crowd was enthusiastic and the teams kept it pretty exciting by scoring multiple times on each other. In fact, this is the game where this big goal happened. Yep! We saw it. 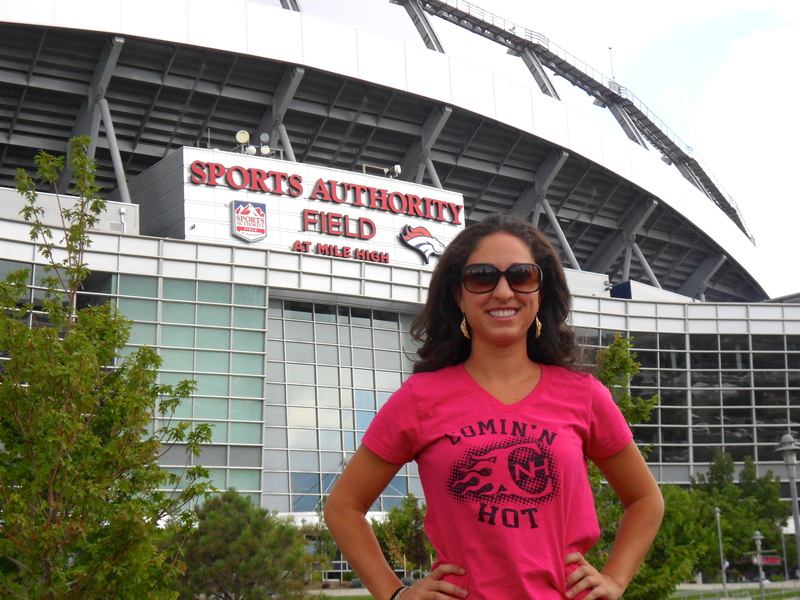 Outfit #1 in front of the field. I really did have a great time at the game. I’d definitely go to another! The U.S. needs to get more involved with this sport. It’s pretty impressive. After the game we went back to the hotel where we promptly fell asleep for an hour and half. Then, dinner time! 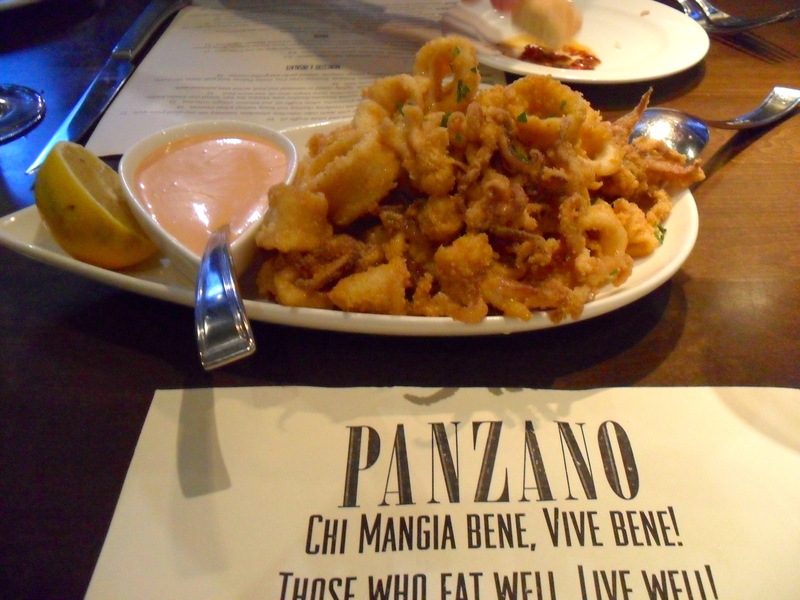 We ate at this fantastic Italian restaurant named Panzano in Downtown Denver. 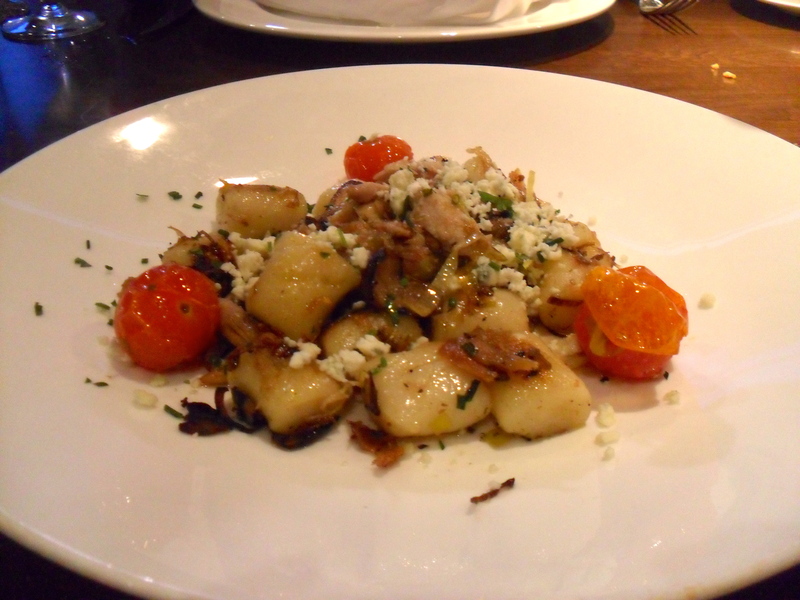 I got the Gnocchi al Coniglio, a.k.a gnocchi with rabbit confit, leeks, shallots, mushrooms, roasted tomatoes, and gorgonzola cheese. 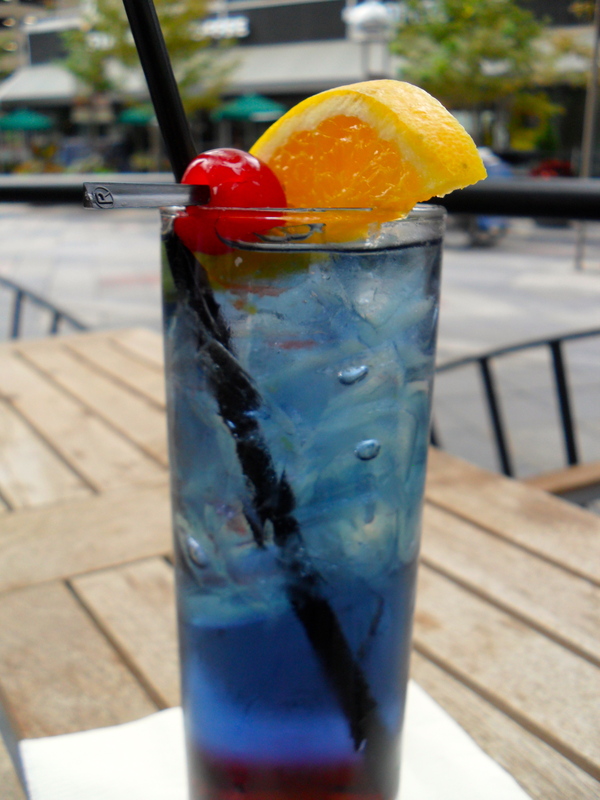 Amaze-balls! 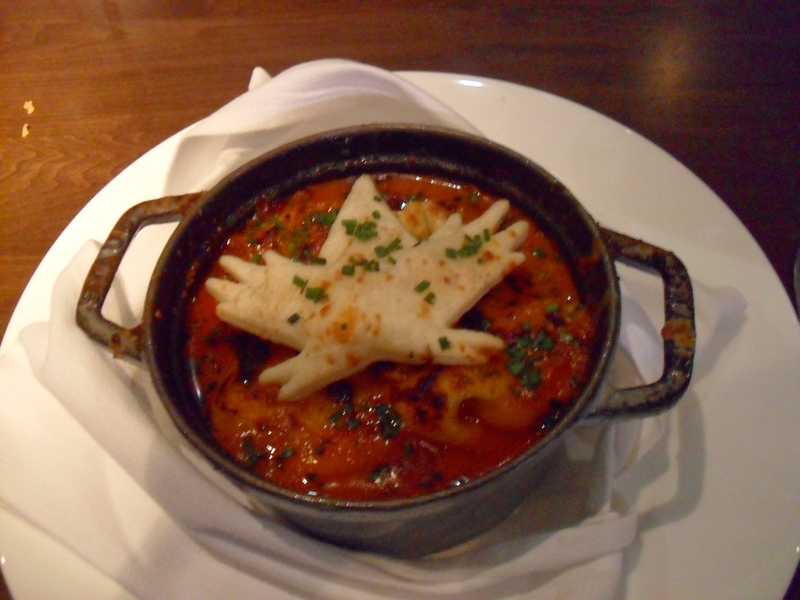 BF ordered the Pastiche which was their version of lasagna. The next day, we had plenty of time to kill before our 8:50 p.m. flight back home so we decide to walk to the Molly Brown House and Museum. Passing the Capital and the gardens in front. For those of you who are unfamiliar with Mrs. Brown, she’s better known as the “Unsinkable Molly Brown” as she was one of the few survivors of the infamous sinking of the Titanic. She’s truly a fascinating women and I highly suggest checking out this website so you can get a better idea of her life. After the museum tour, we grabbed lunch. 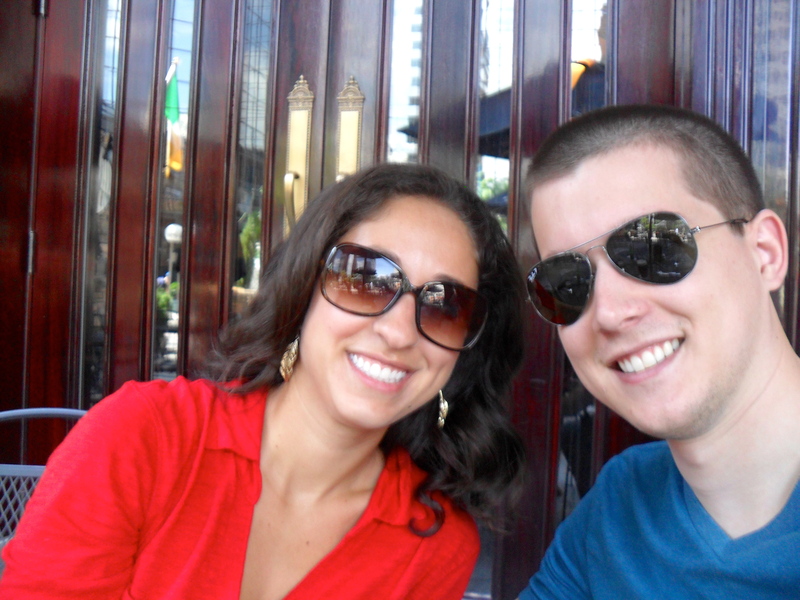 Then walked to our hotel to grab drinks. Where we proceeded to spot the Roma soccer team walking down the street eating gelato. No lie. So I did a little covert photo snapping. I see you eating that ice cream cone! We headed to the airport shortly after that where our fun trip quickly turned sour. Our 8:50 p.m. flight was delayed because the plane we were to board couldn’t land due to weather. So, over an hour later, we boarded our home-bound flight. We got home at 1:30 a.m…… Ugh. 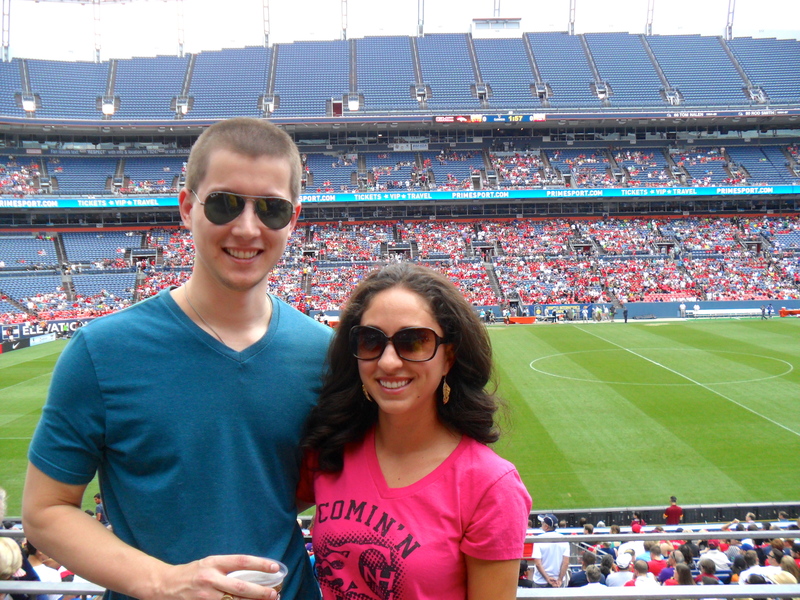 Other than that small airport/ travel hiccup we had a fantastic time together in Denver. 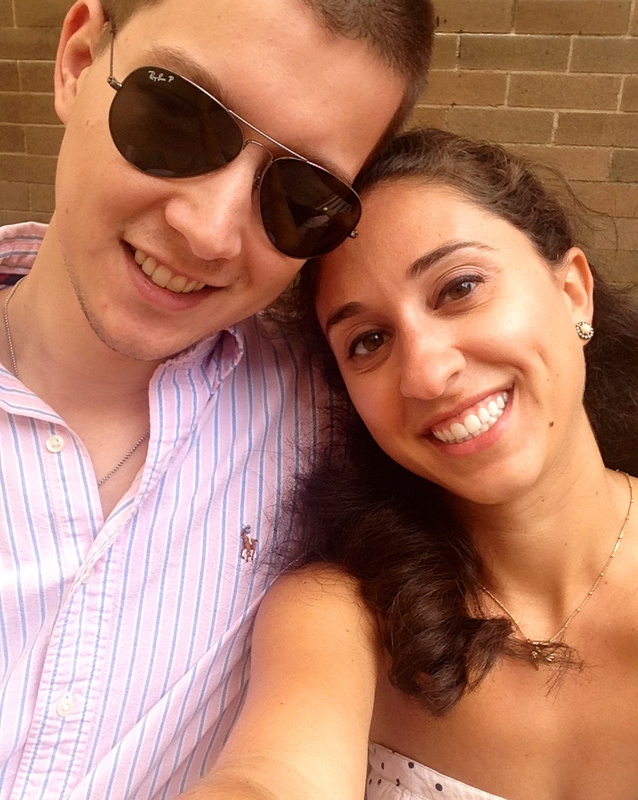 Can’t wait for our next vacation! If you look closely, I actually changed shirts three times that day! 😛 It was hot…. I love traveling. My husband and I are crazy about new places. My MIL and I are headed to Orange Beach and then for my birthday in Vegas with the hubbs. Colorado is on my list but It looks like I need to move that trip up on my list. 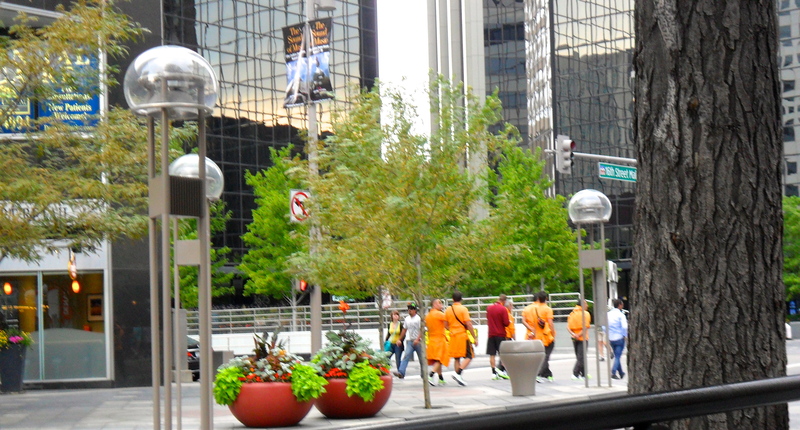 The weather was perfect when we were there, plus it was easy to get around Denver since downtown is very walkable. We weren’t able to make it to the outer cities because of transportation and time restraints, but Golden and Boulder looked like great places too go for “day trips”. Have fun in Vegas! Woot Woot! 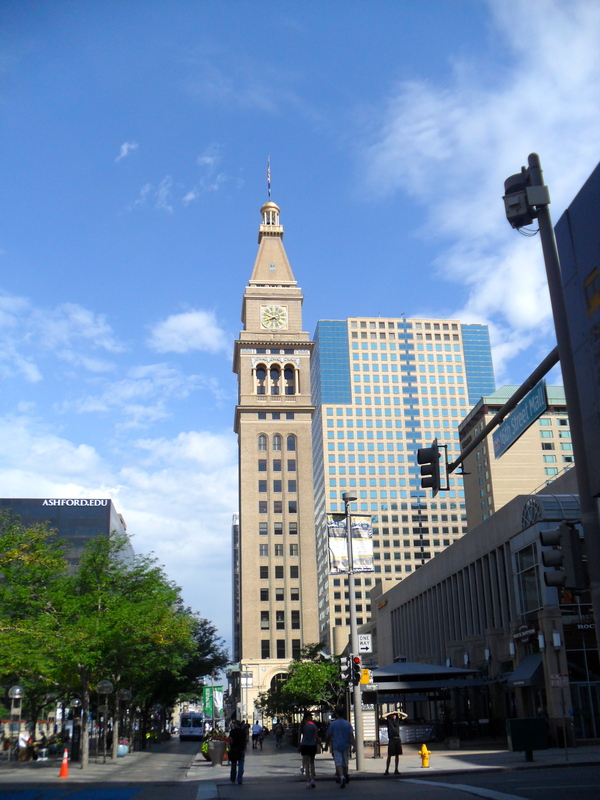 great blog!So interesting…never knew Denver had that much to offer. Thanks! And we really didn’t even see half of it. 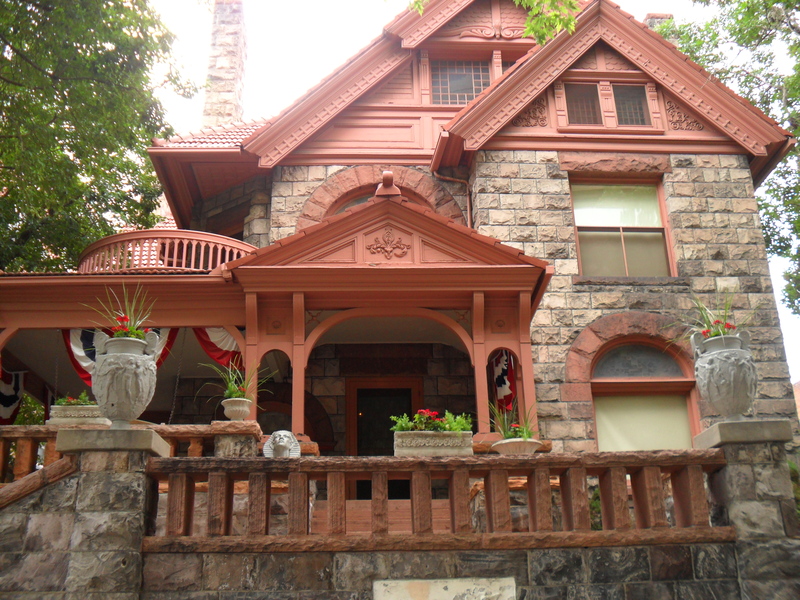 There are a lot of smaller towns around Denver that have some great museums and a lot of history to them. For instance, Golden and Boulder. If I go back, I’ll definitely need to check them out.